Hello…. Happy Friday! I thought I should dedicate one day to show the process of how you should create a card. So here I am, every Friday is card making day or make something. Today I like to show you how to create this Happy Halloween card. What do you think about this card? As Halloween is end of the month. I thought I can create a halloween card: first i stamped the web image from papertreyink – Friendship Jar Fall Fillers Stamp set – ghost image, spiders, web. Here is the closer image of the wreath with my current obsession – sequins!! I have stamped some pumpkins with several different colors and cut them out and decorate the wreath with it. Lastly adhere the sequins and gold owl to the wreath. I have randomly stamped the spider images and draw line as if the spiders are hanging on the wreath. Lastly added a black bloomer trim at the end with the scallop end. That’s all from me!!! I have so much fun decorating this wreath and hope you enjoy this card. Hello…. Happy Friday! Today’s card is still using the Wreath for All Seasons stamp set from Papertreyink. I love it so much for the festive season coming around. There is so many different kind of wreath to create! 🙂 Oh i should have create a Halloween one before this cute pinky Christmas Santa wreath! 🙂 I have started off with a white card base and dry embossed it with the papertreyink – Medndi Medallion impression plate. I love how detail the impression made on the white cardstock! 🙂 what about you? 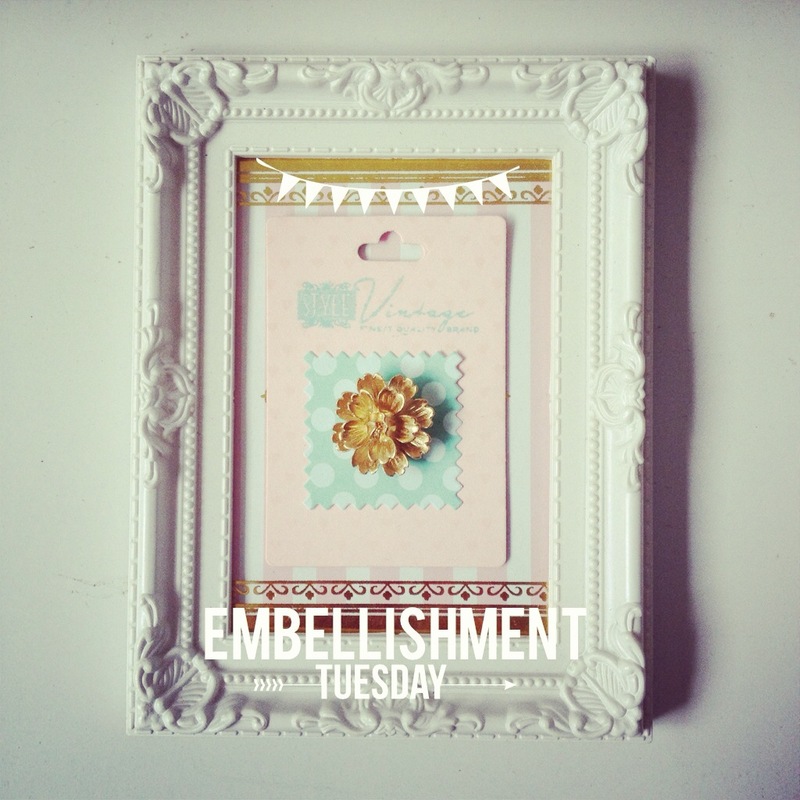 I have added a frame die cut from papertreyink – fabulous frames set. And for the sentiment – it from the Stitched Sentiment Stamp set. Lastly I have die cut a row of hearts from the border die from a red felt and adhere to the bottom of the card.